Is Dont Look Back directed by D.A. Pennebaker, or is D.A. Pennebaker directed by Bob Dylan? This was the question on my mind from the film’s opening moments. If there is one thing Dont Look Back makes abundantly clear, it is that nobody, not even the most skilled of documentarians, will ever get inside Bob Dylan’s head. That is impossible. 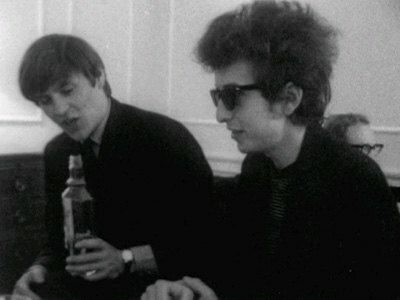 Dylan only allows others to see what he wants them to see, and no matter how covertly Pennebaker operates his camera, Dylan’s mind is impenetrable. That realization is, in and of itself, a fairly profound piece of insight, and the concept Pennebaker shapes his film around. 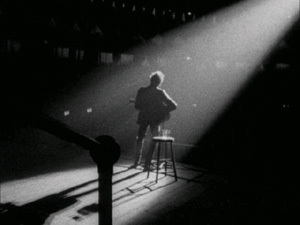 Of the mountains of footage Pennebaker collected, the scenes he selected for presentation all share one common theme: Bob Dylan in command. When on stage, he captivates the crowd with his music. Backstage, he is always the center of attention. When journalists attempt to interview him, he turns the questions around, putting the writer on the defensive. He has attracted such loyalty that his friends will stay by his side, playing music for him or providing simple company, even when he does nothing more than work at a typewriter. There is no scene in the film that does not depict Bob Dylan in control. He never allows others to know anything about him – except, perhaps, through his music – but he gleams piercing, uncomfortable insights into everyone around him, insights he uses to manipulate. In essence, Dylan is ‘directing’ his own life, and that does not change when cameras are present. All Pennebaker can do is let the cameras roll and observe what happens; even if he wanted to, he would have no influence on the proceedings. Pennebaker freely admits this in the opening sequence. 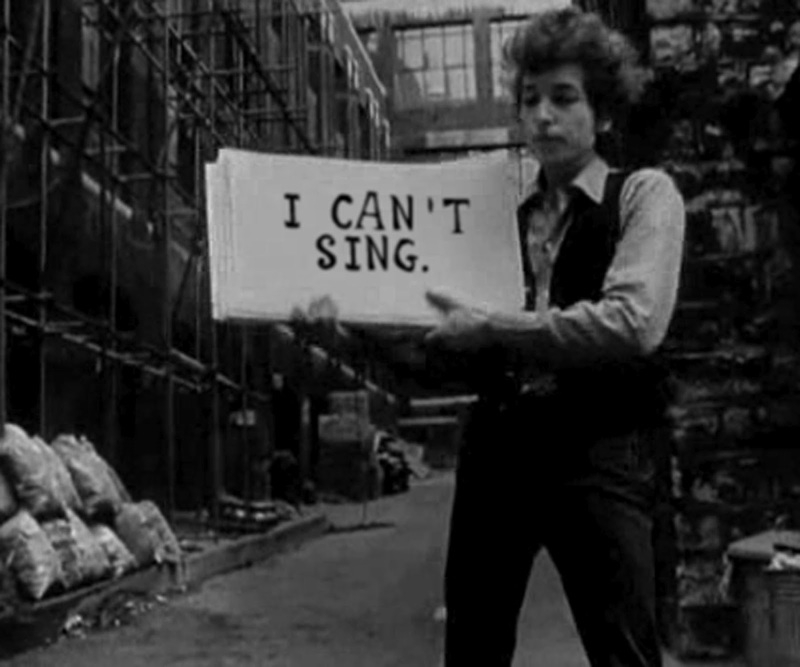 The iconic “Subterranean Homesick Blues” music video is the only part of the film with any explicit direction. Since Dylan obviously did not stand in an alley flashing cue cards of his own free will, this was most likely staged by Pennebaker, and Dylan’s body language speaks volumes. He is uncomfortable, disinterested, and detached from the entire affair. Dylan clearly dislikes being directed. 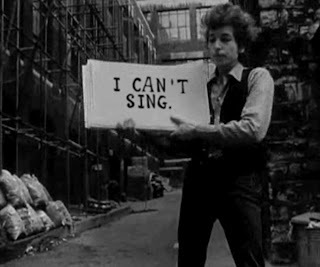 Once the song ends, he tosses the cue cards to the ground and walks away, essentially signaling the end of any filmmaker interference – as Dylan no doubt views Pennebaker – for the rest of the movie. Pennebaker does, of course, have some control. His editing of the film represents his subjective viewpoint on Dylan, as each scene he chooses to show us serves as one piece of a larger character portrait. The Dylan of Dont Look Back can be described and interpreted in many ways, but he is undeniably consistent from one moment to the next. That consistency can often be enigmatic, but is there nevertheless. Dylan, in his base form, is laid-back, casual, and as noted before, quietly in control. Though there are several shocking moments where Dylan becomes hostile or flustered, he is absolutely not breaking character. He gets overtly emotional only when his key trait – his control – is in question. He violently chews out his crew after an incident where glass is thrown in the street, and in personal confrontations, Dylan is spiteful of others who claim to ‘know’ anything about him. The very possibility is insulting. This is the image Pennebaker shapes, and he has plenty of powerfully raw cinematic evidence to support his case. I suspect his final cut of the film is meant to convey, as eloquently as possible, the Dylan Pennebaker grew to know over months of filming. This returns us to my original question: Who directed whom? The answer is simple. D.A. 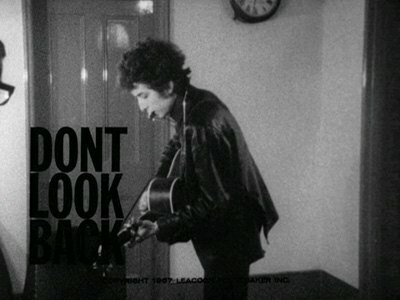 Pennebaker directed Dont Look Back, but Bob Dylan directed D.A. Pennebaker. The results are mesmerizing.